There are certain subjects which seem to be taboo, yet those who it affects can feel very lonely and isolated, even sometimes from their loved ones or partners. I will start with one, but there are, of course many others that may be affecting you, a friend or someone close to you. The use of essential oils, in isolation or better still as part of a gentle massage or bathing routine can be invaluable. I will state, firmly, from the outset that the first treatments I am about to describe will not bring about a miracle cure or replace conventional medicine. It will, however, significantly complement conventional medicine and is used, in many instances in Hospitals and Hospices as part of the overall treatment or to enhance quality of life. Before we examine how the oils and their application can help, we should understand a little of how HIV affects the immune system. To protect itself from infection the body uses different organs and systems. Bacteria, fungi and viruses, continuously enter the body, the majority causing no problem. Some, however, multiply in sufficient numbers to cause harm. If the micro-organism penetrates the bodies natural defences, (sweat, sebum and mucous membranes) then a chain of events know as the immune response begins. White blood cells from the lymph nodes, tissue fluids etc are transported by the bloodstream to where they are needed. Phagocytes are large white cells from the bone marrow, which seek out foreign bodies and bacteria and literally wrap themselves around them and in so doing kill them and itself. Their common name is scavenger cells. Lymphocytes also originate from the bone marrow, but additionally from the lymph nodes, spleen and thymus. Their function is to manufacture antibodies tailored to a particular micro-organism threat. Their creation and continued existence in the blood stream means that the body has a ready supply to counter any future threat thus conferring us with an “immunity”. Co-ordinating the activity of phagocytes and lymphocytes are the T-cells. Two types exist – the so called T-helper cells which stimulate the production and the T-suppressor cells which wind-down production, once the situation is under control. In a normal body the T-helper cells outnumber the T-suppressor by about 2 to 1 but if the system is damaged the number of T-helper cells declines. In the case of HIV the virus enters a host cell which regrettably is the T-helper cell. Now the body is unable to defend itself against invading micro-organisms and simple bacteria, viruses and fungi can attack at will. HIV drugs target the actual HIV virus and, as I have mentioned before, the virus, being an intelligent pathogen will mutate in days into a drug resistant form. The approach of holistic treatment is to look at the person as a whole and to improve their general health and boost their immune system. If the immune system can be strengthened then the likelihood of full AIDS can be reduced or delayed. Essential oils can play their part by improving the immune system with immunostimulant and tonic oils. This is, however, only a part as the very act helps to create relaxation, a safe feeling and an outlet for anger, fear etc. There is a wide range of immunostimulant oils including thyme, tea-tree and other melaleucas (incl. Clove and myrtle). Others that can be used to effect are manuka, ravensara and rosewood. In the tragic event that HIV develops into AIDS the body will require even greater assistance to combat infections as the natural immune system will have almost completely closed down. Some essential oils have proved effective in this situation and one should consider – niaouli, tea-tree, eucalyptus radiata (more easily assimilated than the normal) and thyme (as the chemotype Thuyanol IV which is particularly antiviral) To introduce a more pleasant smell, one could consider manuka, ravensara or rosewood, all immunostimulant and anti-viral/bacterial. To improve the quality of life one should offer relaxing massage, baths, mood-enhancing oils and emotional support. 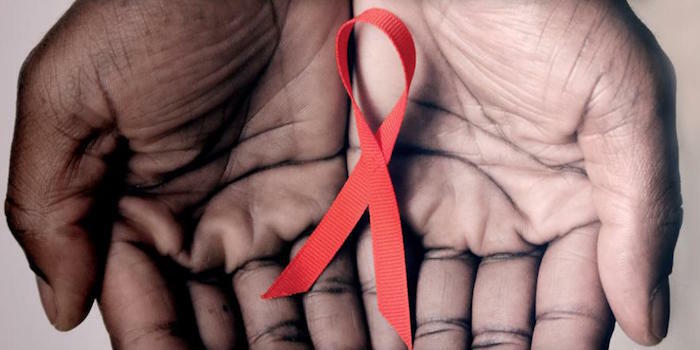 Touch is very important, particularly in the case of AIDS where victims can feel “unclean”. In some cases the person will be weak or in pain and only the lightest massage strokes will be possible – but whatever can be achieved is valuable. Consider using bergamot, camomile, clary sage, frankincense, geranium, grapefruit, jasmine marjoram, neroli, rose, rosewood, sandalwood or violet leaf – all have been found valuable. Maitake an immune boosting mushroom which stimulates the T-cells (the body’s own defence against viruses and cancer cells. (Just as an aside studies have resulted in a 99% shrinkage of tumours in just 14 days. Studies have also shown HIV patients can be helped by improving the T-cells which are normally destroyed by the HIV virus.) It also improves the liver function. Schisandra (also spelt Schizandra) – This adaptogenic herb is the one to take if you are facing any form of surgery that could be traumatic. The supplement should be made from the seeds of the fruit which is the most potent type. It supports the adrenal gland and improves the detoxifying action of the liver. It will also help concentration, coordination and stamina. Importantly an extract from the plant stem has proved very useful in the treatment of HIV. Dosage 500mg to 1000mg daily. You must not take at the same time as prescription drugs (without medical supervision) and don’t take if you suffer from epilepsy or gastroesophageal reflux disease (GERD). HIV may result in a condition known as Madarosis where you can lose all or some of your eyelashes. When your HIV is under control these may grow back. MMR and AIDS – Drug company greed results in new natural immunity to AIDS discovered in Africa. Thrush (candida albicans) – affects women, men, babies and animals. How to cure. Thrush or candida albicans can be very difficult to eradicate. A combination of essential oils, yoghout and antibiotics can cure the problem along with herbs. In addition a colloidal cream or spray will kill the fungus and prevent the return.